Time for some smooth and soulful Pop/R&B. British singer/songwriter duo The Kondoors have unveiled their brand new single Forgiveness. I am in love with this one guys! It has that Motown vibe which is simply captivating, gorgeous piano keys, and their vocals are strong and soulful!! I can't stop listening to it!! Stream it below! Forgiveness, a song inspired by the ups and downs of their relationship, that they discovered the spine-tingling effect of their voices combined. The grandeur song arrangement builds on the couple’s powerfully bonding lyricism that facilely sways throughout dramatically. Influenced by the Stax and Motown era, Jess Greenfield and Gavin Conder became a couple well before they became a duo. 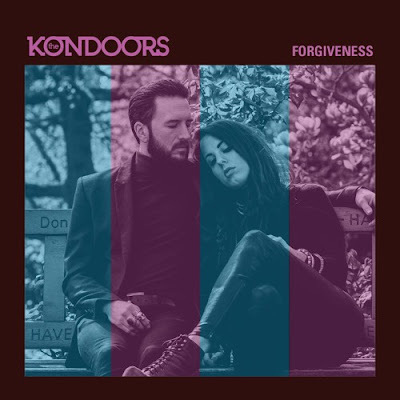 It wasn’t until they joined forces with producer Steve Brown (Credits include, Rumer’s ‘Seasons Of My soul’ and Laura Mvula’s ‘Sing to the Moon’) to take their raw, organic sound to the next level – and thebreathtaking vocal personality of The Kondoors was born. Gavin and Jess had also long been writing and recording their own material, drawing on a host of influences from Sam Cooke, Conner Reeves and Marvin Gaye to Dusty Springfield and Tina Turner.